Hi, I’m Max, and I’m a Golden Retriever. That’s a kind of dog, people tell me. I think I’m just me. My person is Seth Chapin, and we live in Granford, Massachusetts. I don’t like to say “I belong to” anyone, even though Seth is a great guy, because I’m my own dog, not a possession. Seth adopted me a couple of years ago, when my former people moved and left me behind. Now that I think about it, that was probably the best for everyone—I sure got lucky with Seth. Back then Seth was going out with a nice lady named Meg, who lived near Seth, so we’d take walks toward her house. She has a cat named Lolly. Lolly’s pretty cool for a cat—mostly she sleeps on top of the refrigerator, where it’s warm, and she doesn’t bother me. 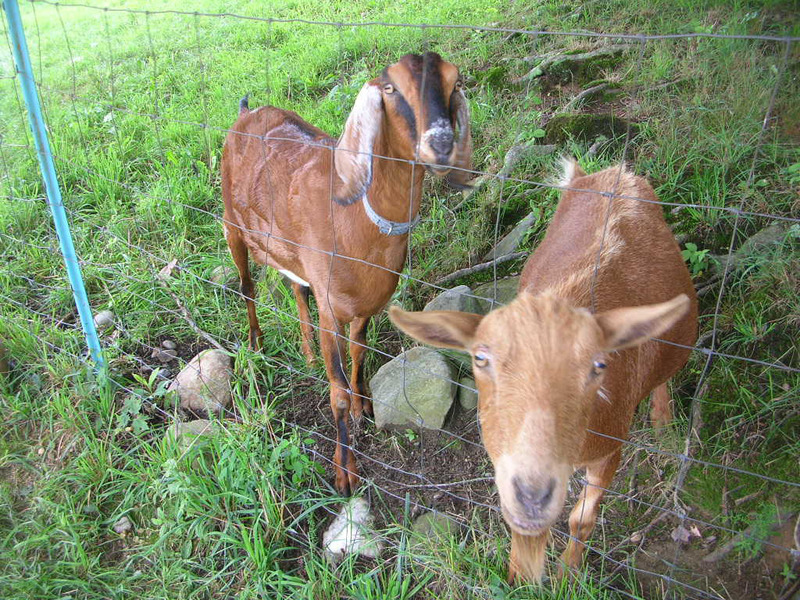 But what was really great was that Meg has two goats who live in a pen outside her house. 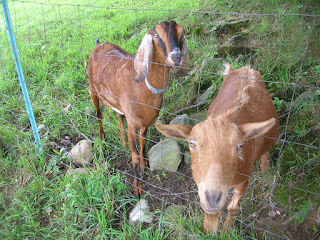 I’d never had the chance to meet any goats before. I kind of like them, even though they mostly ignore me. But I don’t chase them or bark at them, so we get along fine. Then there was the time when somebody in Granford got a herd of alpacas, and they kept escaping, and one or two turned up on Meg’s property. That was really fun. They were pretty nice and didn’t make any trouble. I love their curly hair! I’d like to see them again. 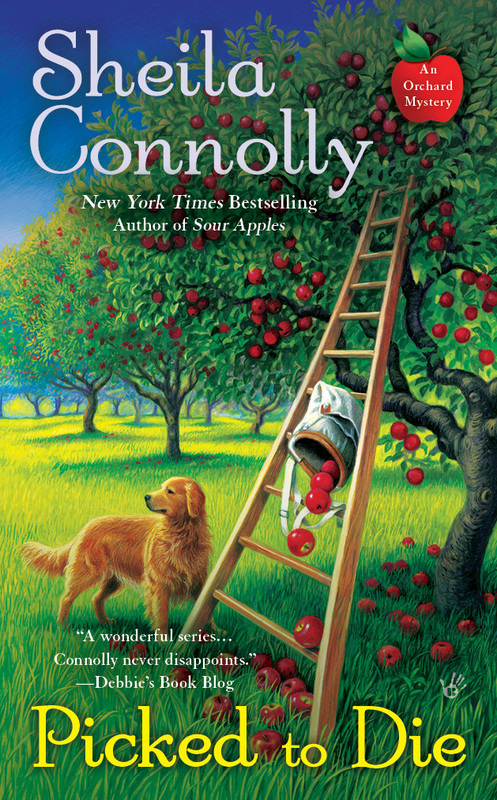 Meg had a person named Bree working with her to take care of her apple trees. Bree wasn’t really a dog person (or a cat person either), but she took care of me when Meg and Seth were away, or couldn’t get home in time to feed me. Now Bree is somewhere else, but nobody’s said whether she’s coming back. Instead there’s this new guy named Larry, but he doesn’t pay much attention to me. But he hasn’t been around long, so we’re still getting to know each other. Meg and Seth got married in the winter. Meg grows apples and Seth fixes old buildings so they didn’t have time to do it in warmer weather, but that worked out fine. They’re good people, and they make each other happy, and that makes me happy. (Lolly hasn’t said anything about the wedding yet, but that’s pretty typical. After all, she’s a cat.) And since their properties are side by side, I get plenty of room to run now! Wonder if Seth and Meg will be adding any new animals? I’d love to have a buddy to play with, but I'm not sure what kind would be best. You have any ideas? Max even got his own cover a while back! 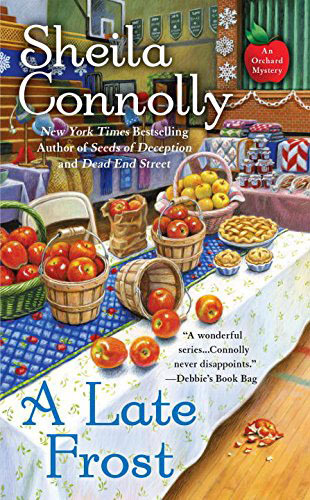 The next Orchard Mystery, A Late Frost, will come out in November. Of course Max will be there! Hi Max, nice to meet you. My guess would be a new baby would make a great playmate for you. It's a possibility . . .
Max is a sweetheart. Not much of a guard dog (since he likes everyone, human or animal), but he's a good tracker. A new baby or a horse would be nice. Look forward to reading the next book. Love this series! Every Golden needs a small human. 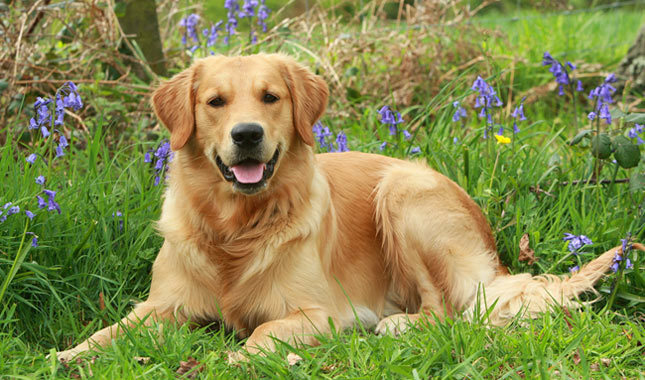 Goldens are famous for being good buddies and every small human needs a good buddy in their life. 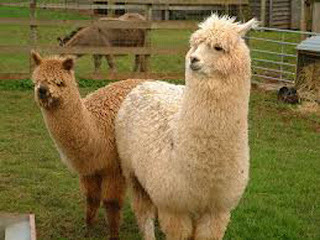 I think Max would have fun romping with a baby Alpaca -- they are so CUTE, but unfortunately they grow up way too fast. 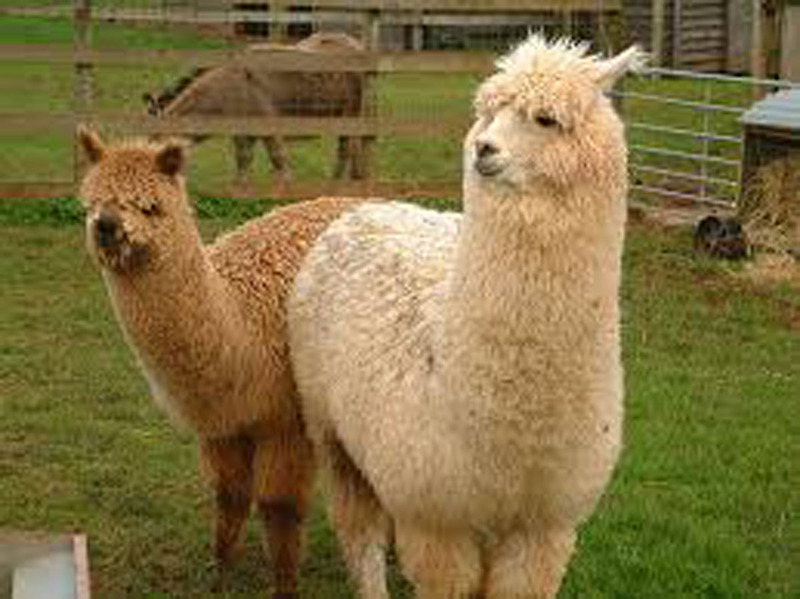 Maybe there are dwarf Alpacas... Note: NEVER shave a tiny Alpaca -- it makes them look like a Dr. Seuss character, but goofier! Can't wait, Sheila! This is one of my favorite series! I had a Goldie named Max once, too.